Book your online reservation directly with the best hotels in Hong Kong - from two star, economy, family friendly lodging, first class accommodations to superior, deluxe luxury hotels and resorts. Find downtown Hong Kong hotels, midtown, business district or airport hotels using our search engine, and find the best hotels in the Hong Kong area for your next family vacation, romantic weekend getaways, holiday, or business trip. 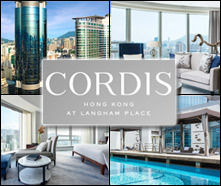 Cordis, Hong Kong is an upscale 5-star hotel located in the vibrant Mongkok district of Kowloon. 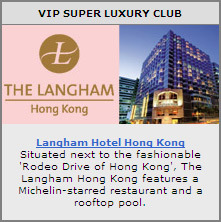 This 665-room hotel is directly linked to the Langham Place shopping mall and Mongkok MTR station. All rooms and suites are equipped with complimentary wifi, a free-to-use smartphone and LED TVs. Our wellness facilities include an equipped Health Club and outdoor heated pool, alongside the Chuan Spa. Dining options include the two Michelin starred Cantonese restaurant Ming Court, European restaurant and bar, Alibi – Wine Dine Be Social, new outdoor food truck destination The Garage Bar, and an all day dining restaurant, The Place. Drawn heavenwards, your eyes trace the 56 storeys of Island Shangri-La, Hong Kong, a luxurious tower overlooking the city’s most prestigious shopping, cultural and business addresses. Within this urban sanctuary are remarkable treasures waiting to be discovered. You step inside with anticipation. Enchanting mementoes from the gift shop. In the atrium, the arresting 'Great Motherland of China', the largest Chinese landscape silk painting in the world, is grand and inspiring. It almost stops time; you do not realize how long you were held by its artistry. But the wonders never cease here. Regal Hongkong hotel situated in the heart of Causeway Bay, Hong Kong's vibrant commercial and shopping district, the deluxe five-star Regal Hongkong Hotel is the epitome of luxury and elegance where international business and leisure travellers are pampered with stylish comforts and a wide selection of gourmet choices. Regal Hongkong Hotel is located in Causeway Bay, Hong Kong, and offers 482 elegant guestrooms and 20 function rooms, together with 4 exquisite dining establishments serving a range of cuisines, including Cantonese, Western and Italian. Regal Oriental Hotel is the preeminent hotel in Kowloon East, located in Kowloon City near the fast-developing commercial districts of Kowloon Bay and Kwun Tong. The hotel is connected by major transportation networks and is surrounded by scenic and tourist spots, shopping and entertainment complexes, and themed restaurants. Regal Oriental Hotel offers first class accommodation at affordable prices and great convenience, and the majority of the 494 guestrooms including 24 suites provide superb panoramic views of Kowloon East and Victoria Harbour. The luxurious hotel also offers 8 function rooms for a variety of event types as well as three restaurants and bars featuring Chinese and Western cuisine. Regal Riverside Hotel is a 1,138-room hotel set amid the greenery Shatin with walking distance to New Town Shopping Plaza and well-connected to Kowloon's TsimShaTsui shopping, entertainment and business district. Greater Sha Tin features many places of interest, including the 10,000 Buddha Temple, the Hong Kong Heritage Museum and the famous Sha Tin Racecourse. The neighbourhood also features a cluster of mega malls with an immense variety of brand boutiques as well as a myriad of individually operated shops and dining and entertainment options. Conveniently located in Tsim Sha Tsui, Hong Kong's renowned commercial and entertainment district, the Regal Kowloon Hotel is an exquisite blend of classical European elegance and Oriental hospitality. Catering to the needs of the most discerning travellers, the luxurious hotel offers gracefully furnished guest rooms, ample meeting space for any type of event, and a variety of excellent food, including Cantonese cuisine, American Italian delights, international buffets and refreshing cocktails. Award winning Harbour Plaza 8 Degrees is devoted to provide the ultimate unique Hong Kong hotel experience. Designs that delight your senses – intimate rooms, luxury hotel suites, a stunning lobby, distinctive restaurants and bar, multi-purpose function rooms and extraordinary facilities – blending comfort, style and convenience. Offering comfortable and affordable luxury accommodation in 702 well-appointed guestrooms and suites, all of which include broadband Internet Wi-Fi access and fully equipped facilities for both business and leisure visitors. Situated on the north shore of Victoria Harbour, Harbour Plaza Hong Kong is an oasis of luxury for both leisure and business. Opened in 1995 as the group's flagship property, the hotel stands as a pillar of excellence in design, facilities, and services. A sense of understated luxury is evident throughout our 506 guestrooms and 48 serviced suites. Rooms and Serviced Suites coexist in acontemporary, spacious setting and 70% of the rooms enjoy splendidviews of Victoria Harbour. Directly connected to the passenger terminal of Hong Kong International Airport by an enclosed link bridge, Regal Airport Hotel Hong Kong is also in close proximity to the AsiaWorld-Expo convention centre. The hotel provides superb and comfortable accommodations with 1,171 guest rooms as well as state-of-the-art meeting and conference facilities, including Hong Kong's largest pillar-free hotel grand ballroom and 30 function venues. Additionally, the hotel features a variety of authentic cuisines at its 6 restaurants and bars, and it has a complete range of recreational facilities, including a luxurious spa, an outdoor pool and an indoor heated swimming pool. iclub Fortress Hill Hotel is a contemporary select-service hotel centrally located amidst Hong Kong's famed Fortress Hill and North Point districts, a prime centre for business and entertainment, access to Causeway Bay in FIVE minutes. As a select-service hotel in Hong Kong, we offer 338 chic and trendy guestrooms. The contemporary sleek design with plenty of glass and diffused lighting creates a refreshing and dynamic environment - The iSelect Premier & iPlus Premier provide partial view of Victoria Harbour or the expansive view over the eastern part of the island including Causeway Bay, North Point. With modern facilities including LCD TV, Multimedia connectivity panel with USB and audio connections, complimentary WiFi access and local telephone call, with the smoke-free environment, we surely offer you a comfortable and healthy stay. InterContinental Grand Stanford Hong Kong was one of the first hotels on the Tsim Sha Tsui East waterfront and still sets the standard for excellence in Hong Kong. A prime locale and a ferry terminal just outside put you in easy reach of Central, Jade Market, Hong Kong Cultural Centre, Kowloon Park, Hong Kong Science Museum and Nathan Road shopping. Deemed one of the world's top hotels, InterContinental Hong Kong is renowned for its dramatic location on the Kowloon waterfront, with spectacular views of Victoria Harbour and Hong Kong Island. 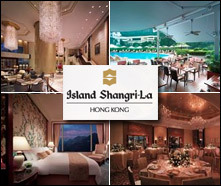 Located in the Tsim Sha Tsui area, the hotel is convenient to Kowloon s business, entertainment and shopping districts. A wide range of excursions and activities are within a short distance and getting around every part of the city is easy. Centrally located in Sheung Wan, our hotel is at the crossroads of convenient shopping, dining and business in Hong Kong. If you are traveling from the airport, it will take you around 35 minutes to come to us. iclub Sheung Wan Hotel offer easy access to the financial district, International Finance Centre (IFC), Hong Kong Convention and Exhibition Centre (HKCEC), Macau Ferry terminal and International Commerce Centre (ICC). You might hop on a tram nearby the hotel and experience the city's fascinating local attractions. SOHO and Lan Kwai Fong that offer a wide range of restaurants and bars are only 15 minutes away from our hotel. Located in the heart of Hong Kong, the JW Marriott offers spectacular views of Victoria Harbour, The Peak and the city; 602 guestrooms enhanced on high technology with luxury amenities; outdoor heated swimming pool; health club; six unique dining options. iclub Wan Chai Hotel, a contemporary select-service hotel centrally located in Hong Kong's famed Wan Chai entertainment and business district, is the first carbon neutral hotel in Hong Kong. As a select-service hotel in Hong Kong, we offer 99 chic and trendy guestrooms and suites. The contemporary sleek design with plenty of glass and diffused lighting, creates a refreshing and dynamic environment. With high ceiling and large windows that allow ample natural sunlight, guest staying in our guestrooms or suites can enjoy superb city view. Equipped with modern facilities including LCD TV, complimentary WiFi access and local telephone call, as well as completely smoke-free living environment, we surely offer you a comfortable and healthy stay.